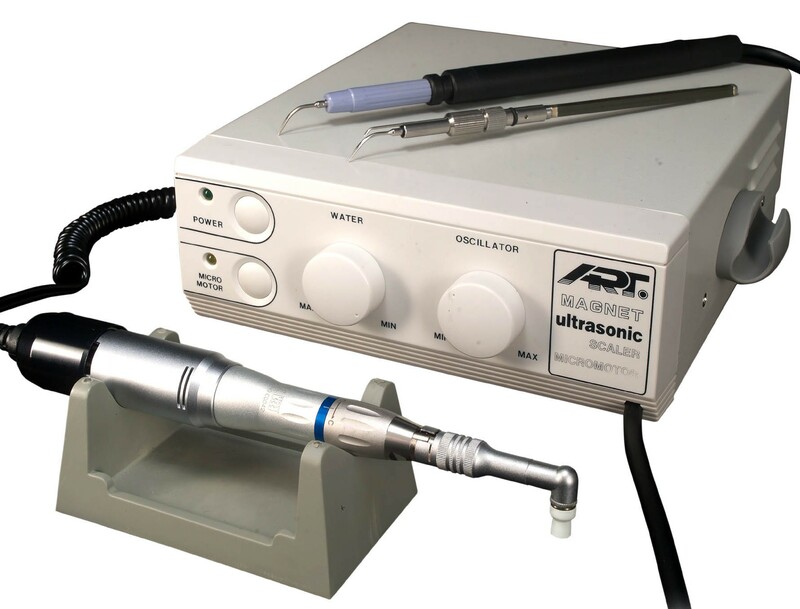 Parkell's Soft Cushion Grip Universal ultrasonic inserts are available in 30khz. Soft Grip Cushion for better Grip and Less Hand Fatigue. 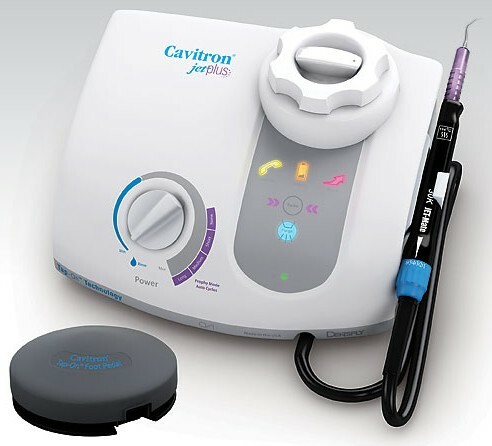 Fits Parkell and all Cavitron-compatible scalers. 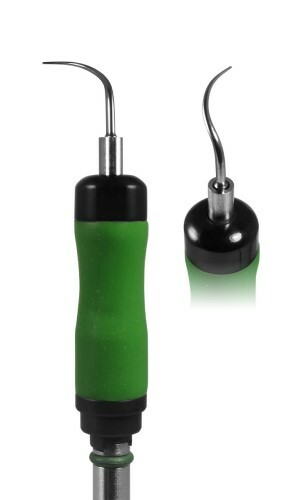 A must Have for Any Hygienist. 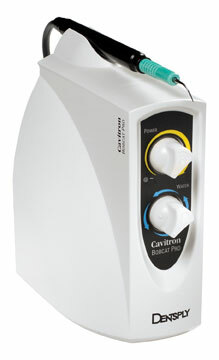 P-10 series ultrasonic inserts are available in both the 25khz and the 30khz. 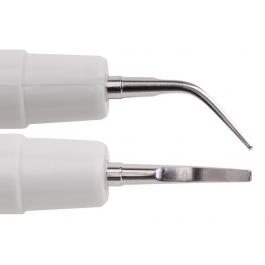 Universally made to fit major brands scalers like Dentsply, Henry Schein, Parkell, etc. 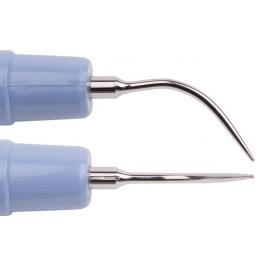 This insert is made of well crafted stainless steel tips, and nickel strip stem. Flow of the water comes externally. 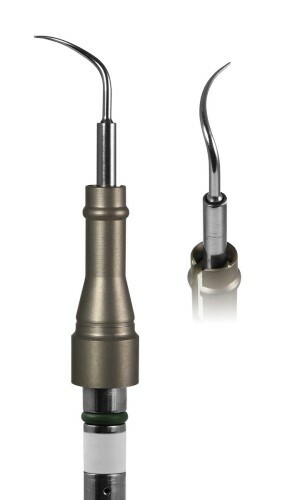 Bonart's Slim Line Furcation series ultrasonic external flow metal handle insert is made with a slimmer tip Like a perio tip for better scaling of the calculus on the sensitive areas of the mouth. 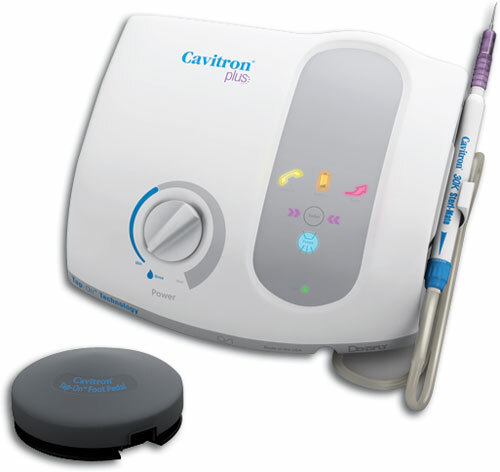 It gives dentist the ability to go beyond the hard cleaned areas of the human mouth. 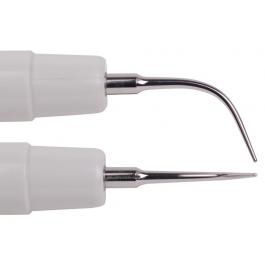 Bonart's slim line inserts provide the same capablities like Parkell's, Dentsply's, Hu-Friedy's, Premier's etc. Available in both the 25khz and 30khz. 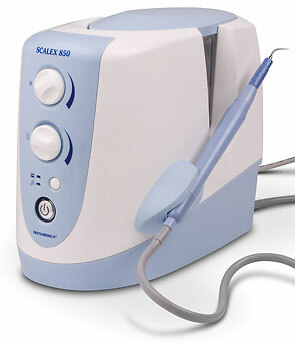 P-10L left angle series slim type ultrasonic inserts are available in both the 25khz and the 30khz. 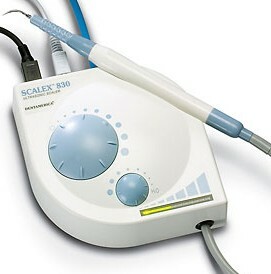 Universally made to fit major brands scalers like Dentsply, Henry Schein, Parkell, etc. 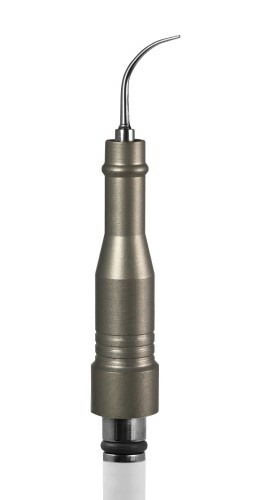 This insert is made of well crafted stainless steel tips, and nickel strip stem. Flow of the water comes externally. 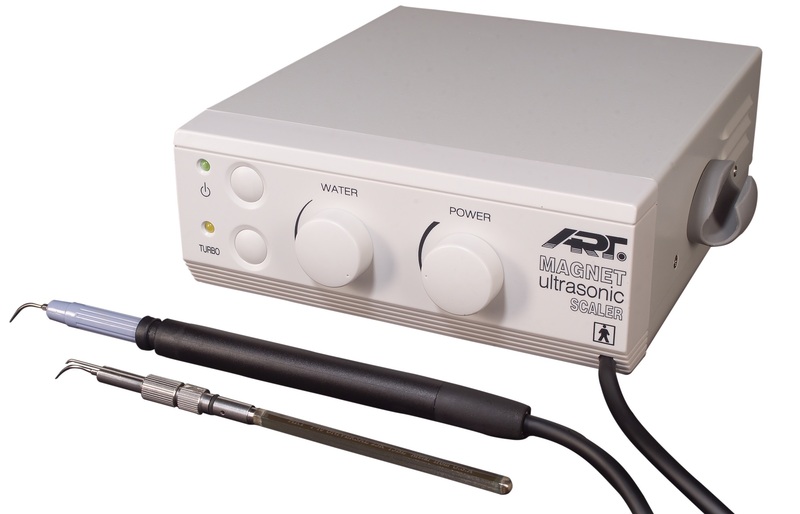 P-10R right angle series slim type ultrasonic inserts are available in both the 25khz and the 30khz. 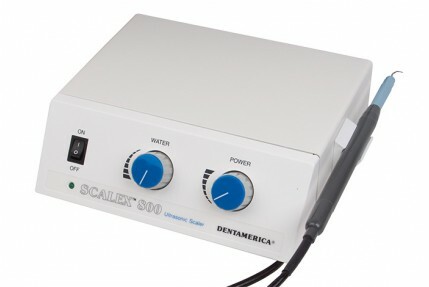 Universally made to fit major brands scalers like Dentsply, Henry Schein, Parkell, etc. This insert is made of well crafted stainless steel tips, and nickel strip stem. Flow of the water comes externally. 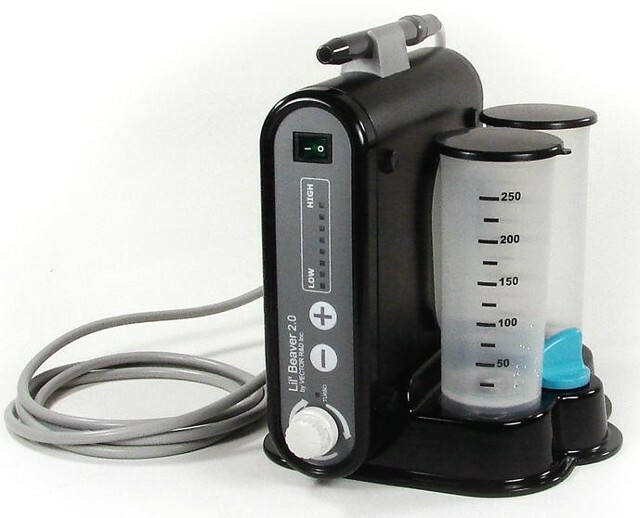 Bonart IF100 Series Universal Internal Flow Platiic Handle Ultrasonic Insert is designed and quality crafted by Bonart's experts of engineers. Built to perform to the high level of scaling performance standards established by the major brands. Insert is available in both the 25khz and the 30khz. 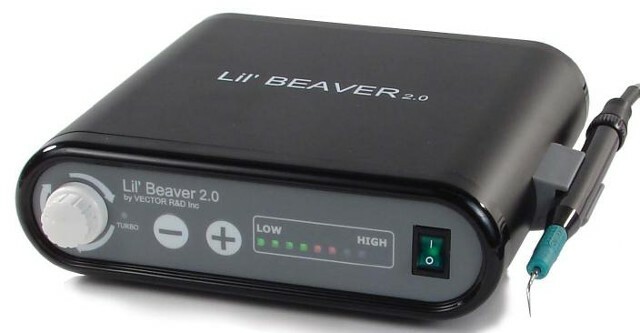 IF5 Beavertail Ultrasonic Insert is a flat wide spatula insert designed to get around the hard calculus in the hidden mouth areas more easily. Compatible with the markets' leading brands. 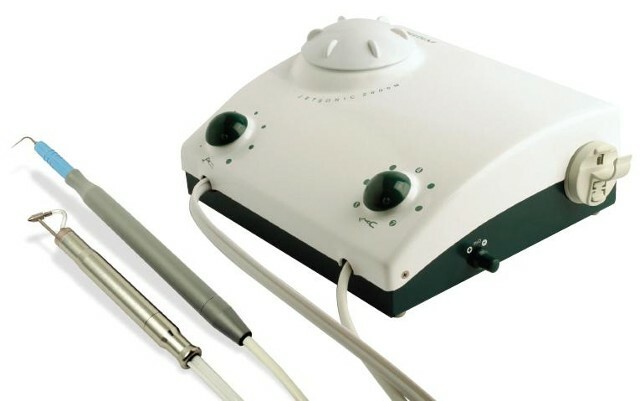 The SPA Streamline Ultrasonic Insert is designed with a plastic handle for easier and stable grip, and water flows from the tip internally and has a Silicon Tip to direct water to the gum and tooth surface Instead of your patients face. 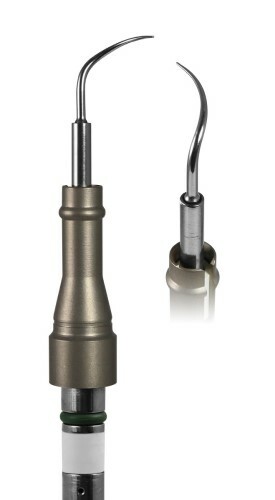 Made to be comparable with the Parkell, Dentsply, Hu-Friedy, Premier etc. IF50 Streamline #10 Ultrasonic Insert is designed with a plastic handle for easier and stable grip, and water flows from the tip internally. 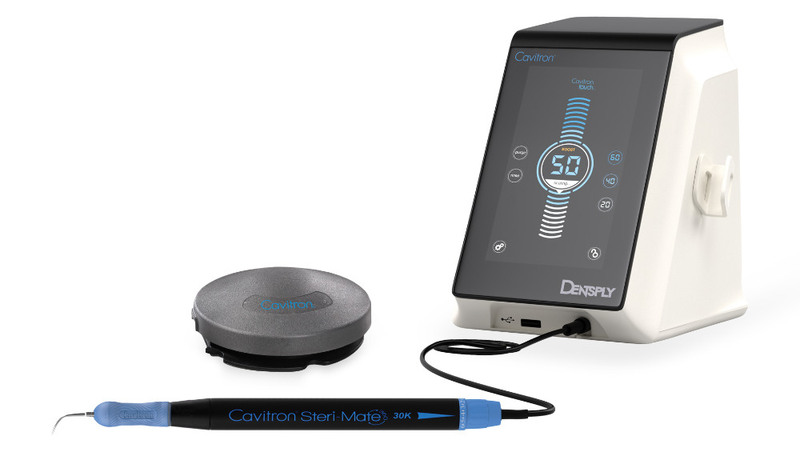 Made to be comparable with the Parkell, Dentsply, Hu-Friedy, Premier etc. 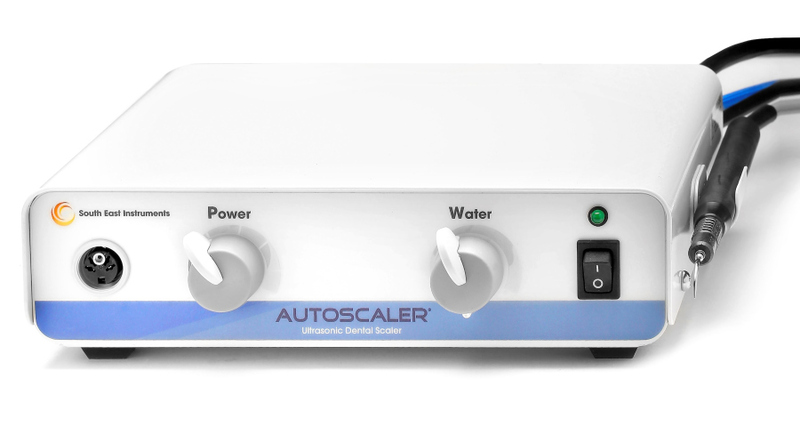 Ultrasonic scalers use high-frequency vibration and water stream to cleanse gingival tissue and root surfaces. 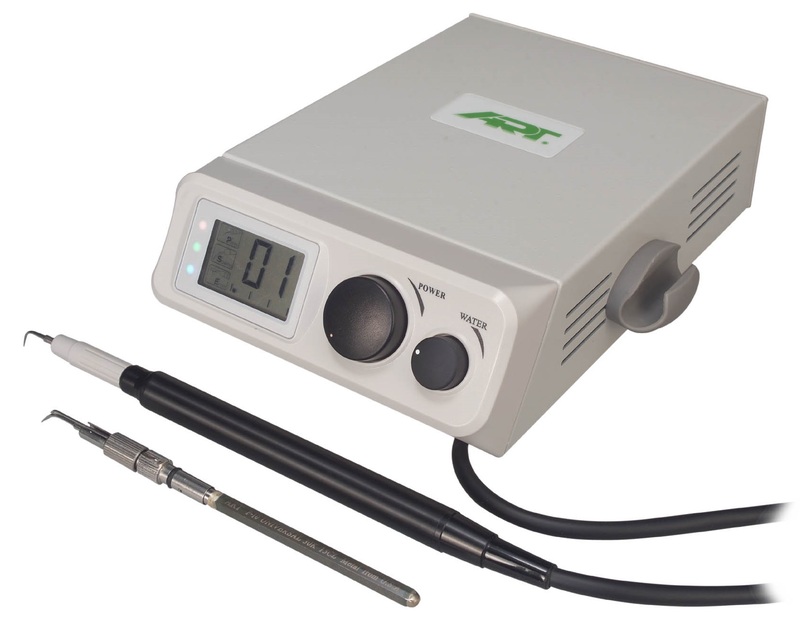 They transmit at 18,000 to 50,000 vibrations per second to a handpiece, compared to 2,500 to 7,000 cycles per second for sonic scalers. 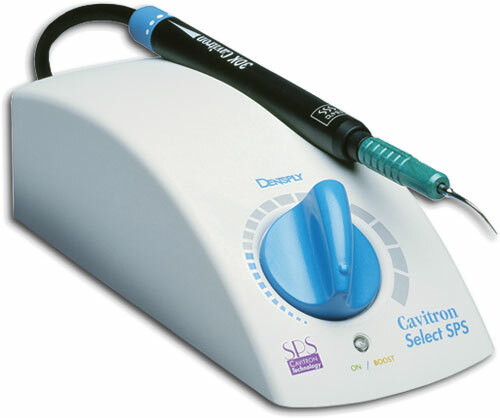 Various tips and inserts, such as such as universal, subgingival, and left and right curved, are available for ultrasonic scalers. 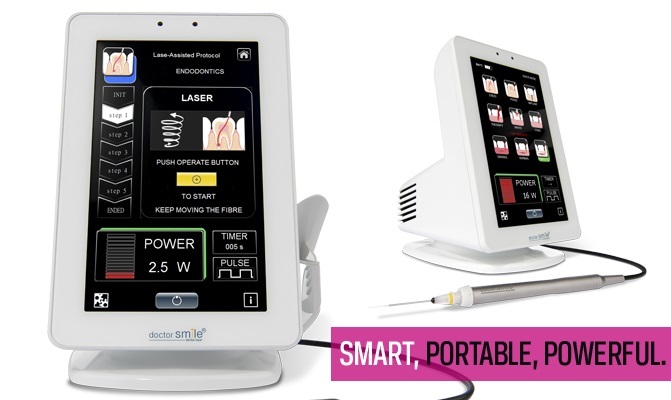 These tips are better suited for certain procedures and areas of the mouth. Some newer ones use LED technology to offer better visibility.